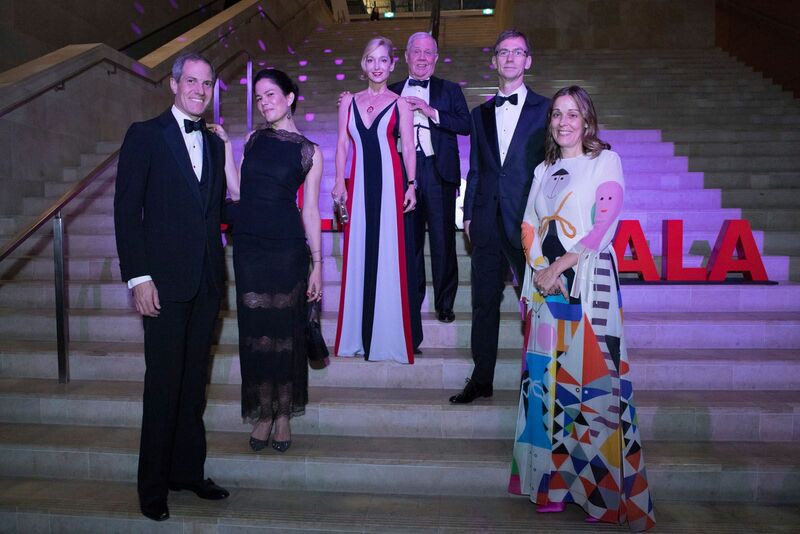 The country's most influential art lovers and collectors gathered at the National Gallery Singapore dressed in their minimalist best for the biennial fundraising National Gallery Gala 2018. During the cocktail reception at the Padang Atrium, guests were able to preview installations by Anish Kapoor and Tatsuo Miyajima ahead of the opening of the blockbuster exhibition, Minimalism: Space. Light. Object. Organised by the National Gallery Singapore in collaboration with ArtScience Museum, the first exhibition on minimalism in Southeast Asia features 150 seminal works displayed across the two venues; it runs from today until April 2019. The gala proper took place at the elegant Supreme Court Terrace, where guests feasted on dishes by chefs Julien Royer and Violet Oon while enjoying entertainment and speeches including one by Minister of Education, Ong Ye Kung. A highlight of the evening was the online auction on Artsy as well as the exhilarating live auction, which saw a Yayoi Kusama piece garner five times the estimated amount. The generosity of both corporate sponsors and art patrons raised over $1.6 million to fund the gallery's myriad programmes.